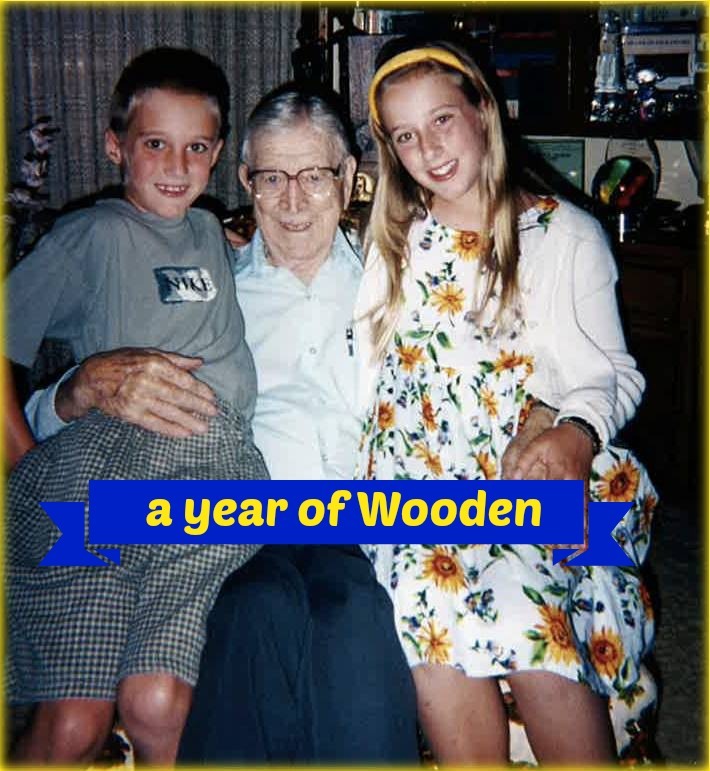 Hi everyone, and welcome to the new blog readers who are joining us — thanks for taking the time to stop by! I have a quick and easy project to share today that tackles a problem I’ve been trying to find a good solution to for quite a while, ever since I outgrew my little-girl jewelry box back in middle school: how to organize my many necklaces. Necklaces are my jewelry of choice. I don’t have my ears pierced, and I have a couple rubber bracelets that I wear every day (a Livestrong support bracelet and a bracelet for my brother Greg’s nonprofit organization Give Running) so I don’t tend to wear many new bracelets. Necklaces are a way for me to change up my outfit and style, and each necklace I have is a special reminder of a place I’ve traveled or a person I love who gave it to me. I tried jewelry boxes, but the chains of my necklaces got hopelessly tangled. 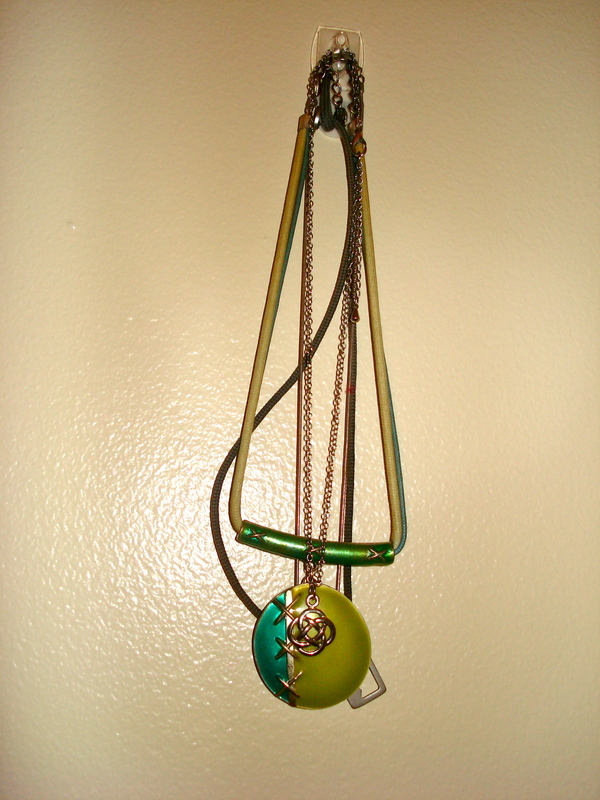 I tried a small jewelry tree, but some of my necklaces are too long and got clumped up at the bottom. Then I got an idea: why not hang them on the wall? The best part of all? It could not be easier, faster, or cheaper! All you need is one package of these adorable plastic hooks — I got mine at Target for less than $4. I love these because they come in a variety of sizes and are removable, so they won’t damage your walls if you ever want to take them down. 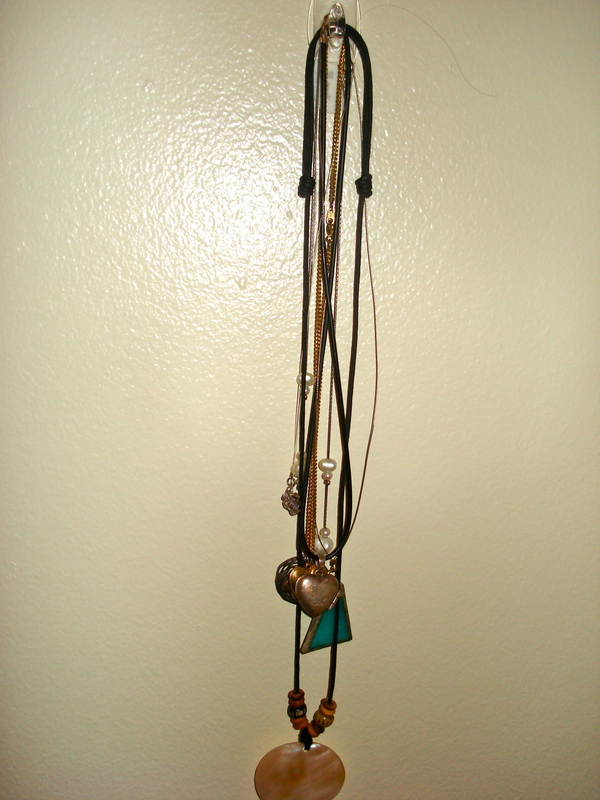 My first step was to organize my necklaces by length — I planned for one longer chain and two shorter ones. Next, I attached the hooks to the wall using the special adhesive that was included. 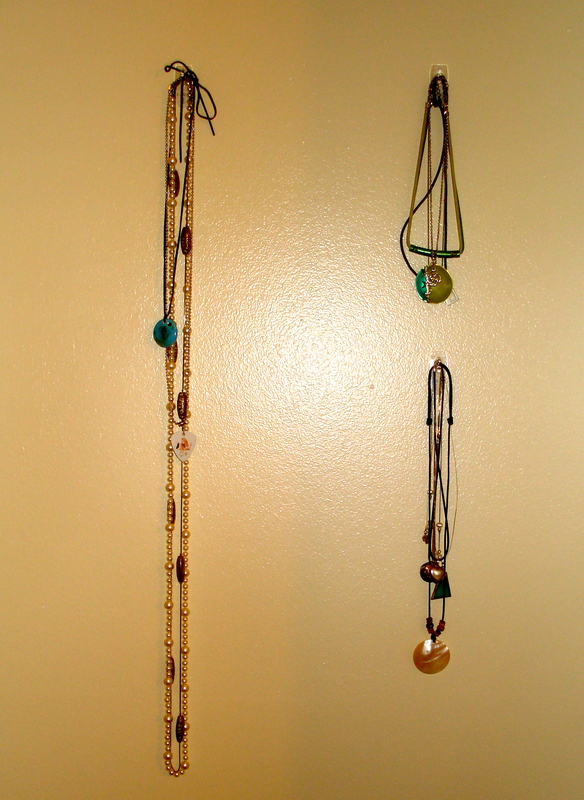 After waiting fifteen minutes, I just hung the necklaces on the hooks, and viola: my new-and-improved “jewelry box” that doubles as pretty wall decoration in my bedroom! Organization task of the day: complete. I’m looking forward to sharing a great recipe with you in these next few days — stay tuned! Hope your week is going wonderfully!